Shipments of discrete graphics cards for desktop PCs have shrunk by nearly two times since 2007 and competition between vendors intensified in the recent years. As a result, some companies have tried to diversify their business while others have had to leave. Last week Point of View BV, which was a known supplier of graphics adapters in Europe (particularly last decade), was declared bankrupt by the court in Oost-Brabant in the Netherlands. Meanwhile, the owner of the brand claims that the holding company Point of View Holding BV is still operational and plots its return. 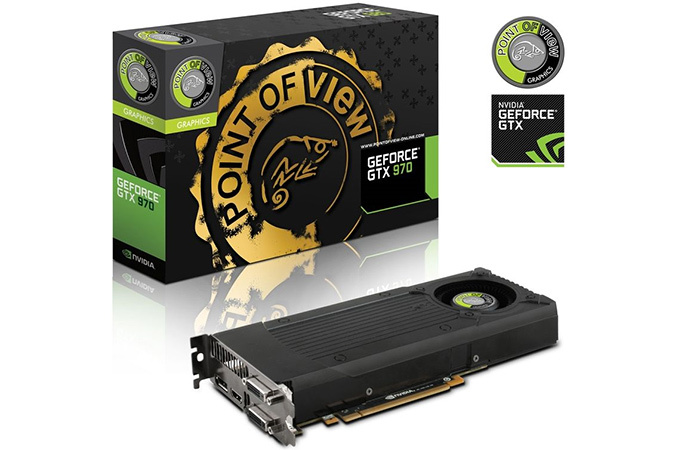 Point of View was established in 1994 with a purpose to sell various devices including graphics cards under a singular brand. The company got rather famous in 2000s, particularly for its inexpensive NVIDIA GeForce adapters available widely across Europe. As the market of graphics add-in-boards (AIBs) contracted and the competition intensified in 2010s, Point of View lost its market share and attempted to diversify its business by adding media tablets, mobile accessories and even drones to its product family. While the company kept selling video cards, its lineup of NVIDIA’s GeForce GTX 900-series adapters shrank to only five products (versus 19 members of the GeForce GTX 600-series family several years ago). Meanwhile, sales of tablets have been either declining or stagnating for years and despite low prices (enabled by Intel’s incentives and subsidies to China-based manufacturers) Point of View never got popular. After facing multiple problems, Point of View BV filed for bankruptcy earlier this year and this week the court in Oost-Brabandt declared it insolvent. Unfortunately, to date the company has not come up with any RMA solutions for owners of its existing products, but the CEO promised to provide an update on the matter next week. Sources: FaillissementsDossier.nl, Point of View, TechPowerUp. "shrunk by nearly two times"
well from all the GPU companys POV is the last interesting to me.